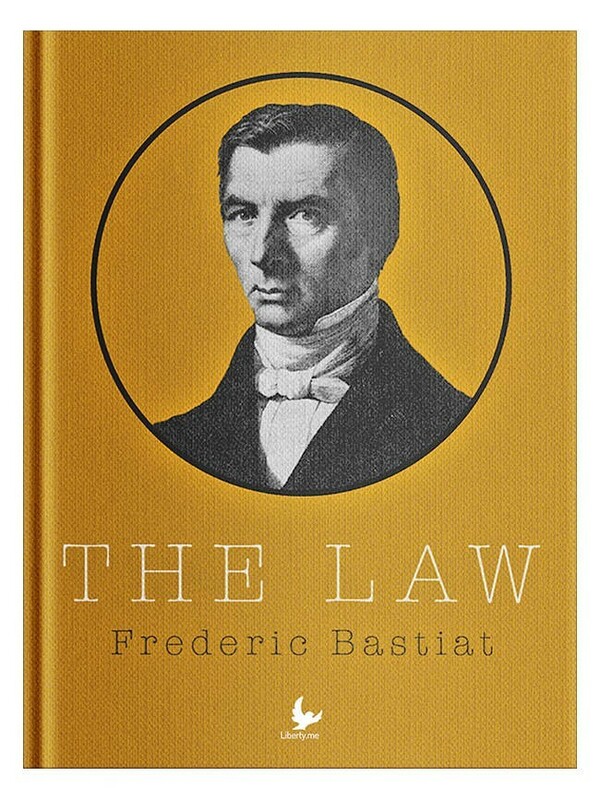 Bastiat’s The Law asks fundamental questions that most people go through life never having thought about. Most people accept the law as a given, a fundamental fact. As a member of society, you obey or face the consequences. It is safe not to question why. This is because the enforcement arm of the law is the state, that peculiar agency with a unique power in society to use legal force against life and property. The state says what the law is — however this decision was made — and that settles it. Frédéric Bastiat (1801–1850) could not accept this. He wanted to know what the law is, apart from what the state says it is. He saw that the purpose of law is, most fundamentally, to protect private property and life against invasion, or, at least, to ensure that justice is done in cases in which such invasions do take place. This is hardly a unique idea; it is a summary of what philosophers, jurists, and theologians have thought in most times and places. Then he takes that next step, the one that opens the reader’s eyes as nothing else. He subjects the state itself to the test of whether it complies with that idea of law. He takes notice, even from the first paragraph, that the state itself turns out to be a lawbreaker in the name of law keeping. It does the very thing that law is supposed to prevent. Instead of protecting private property, it invades it. Instead of protecting life, it destroys it. Instead of guarding liberty, it violates it. And as the state advances and grows, it does this ever more, to become a threat to the well-being of society itself. Even more tellingly, he observes that when you subject the state to the same standards that the law uses to judge relations between individuals, the state fails. He concludes that when this is the case, the law has been perverted in the hands of the governing elites. It is employed to do the very thing that the law is designed to prevent. The enforcer turns out to be the main violator of its own standards. The passion, the fire, the relentless logic have the power to shake up almost any reader. Nothing is the same. This is why this monograph is rightly notorious. It is capable of shaking up whole systems of government and whole societies. What a beautiful illustration of the power of the pen. But take notice of Bastiat’s rhetorical approach here. His conclusion is at the beginning. Why? He did not have that much time (he died not long after writing The Law). He knew that the reader didn’t either. He wanted to raise consciousness and persuade in the most effective way. Even from a stylistic point of view, there is much to learn from his approach. Connor Boyack has joined forces with illustrator Elijah Stanfield to create a children’s book about Frederic Bastiat’s The Law. It’s called The Tuttle Twins Learn about The Law. “The Law” is one of the oldest, yet one of the most influential, classically liberal texts. Frederic Bastiat’s works are still repeatedly cited today. Why is “The Law” still so influential and what can you learn from it? Join Jeffrey Tucker for a discussion of this book and its legacy August 17th at 8pm EDT! I’ve written a new children’s book that uses a fun story and engaging illustrations to convey the ideas in Bastiat’s The Law to kids age 6-10. It’s called The Tuttle Twins Learn About The Law. Here’s the website. If this book sells well, we’ll be turning it into an entire series. Each book will focus on a different aspect of liberty: the non-aggression principle, division of labor, intended/unintended consequences, etc. etc. We’ve got plenty of available material to persuade adults to support liberty, but there’s a big void in the marketplace for educational material for kids. We’re going to be filling that void.